Aware his alarm might be drowned out by Thursday night’s vice presidential debate, Panetta stopped by the magazine’s midtown offices Thursday afternoon to detail his concerns to a Time editorial board gathering. Panetta cited a series of “disruptive” attacks against U.S. companies, and detailed the far more serious so-called “Shamoon” virus attack on the Saudi Arabian state oil company, Aramco. That August strike wiped out 30,000 of the companies computers. It created the image of a U.S. flag in flames on the infected computers and “it basically burned [the computers] up,” Panetta said. 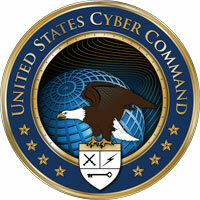 It marked, he said, a significant escalation in cyber warfare. Beyond merely shutting down enemy systems, the U.S. military is crafting a witch’s brew of stealth, manipulation and falsehoods designed to lure the enemy into believing he is in charge of his forces when, in fact, they have been secretly enlisted as allies of the U.S. military. The U.S. already has deployed a cyber-war offensive technology against Iran’s nuclear program, the New York Times has reported. The defense chief added that the Pentagon’s still-fuzzy rules of engagement for waging war in cyber space are being tightened, and will allow the Pentagon to defend other U.S. networks, in and out of government. But such technology isn’t cheap: major defense contractors see cyber defense as the next post-9/11 money pot – annual cyber spending is about $12 billion. 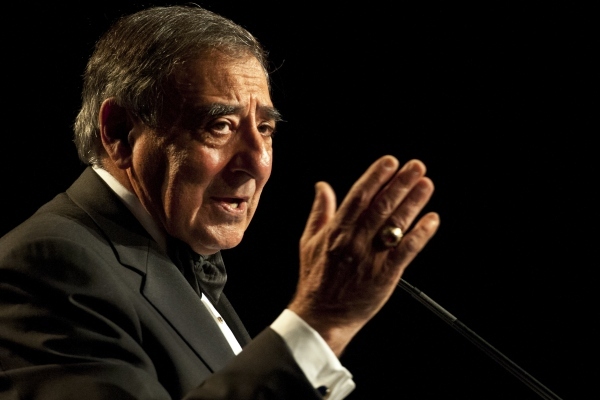 In his speech Thursday night before Business Executives for National Security from the hangar deck of the Intrepid Sea, Air and Space Museum, Panetta warned of cyber terrorists derailing U.S. passenger trains – as well as trains laden with lethal chemicals. He told Time’s editors that both Congress and U.S. businesses have been hesitant to pass legislation – and make the investments necessary – to defend the nation’s critical cyber infrastructure from attack. Part of the reason for speaking out, he said, is to generate public pressure on lawmakers to act. That’s one reason President Obama designated October as National Cybersecurity Awareness Month. Private-sector companies wonder if the government is exaggerating the threat. They seem willing to wait for an “electronic Pearl Harbor” to justify the investments they would need to make to protect their info-infrastructure. But Panetta and others fear that could be too late.